Please complete the following fields to receive bids for Lexus parts! Want to find high-quality used Lexus engines at prices you’ll love? Simply fill out the form above and ASAP Motors will put you in touch with our network of trusted auto parts brokers, typically in just minutes. Founded in 1989 and headquartered in Nagoya, Japan, Lexus is the luxury division of Toyota, one of the biggest and most popular car manufacturers in the world. Initially designed to target the U.S. premium market, Lexus now exports vehicles to various markets across the Americas, Europe, Africa and Asia. Although Lexus operates independently from Toyota, many Lexus engines are based on Toyota’s designs. Since Toyota cars are known to be some of the most reliable cars on the market, this explains why Lexus engines and cars are also exceptionally reliable. Filled out our used parts request form with the make, model and year of your vehicle, and our network of parts suppliers will send you sales offers by email, phone or text. Shop used Lexus engines for sale with a wide variety of warranty, locations and price options. You need only sort through them and make your choice. There is no need to take a chance scouring junkyards or recycling centers yourself when we have all the connections you need to find quality used parts. With us, you can have several different establishments competing for your business. This competition is great for consumers as it helps to keep part prices low & affordable. Simply fill out the parts request form on the top or bottom of this page to get started. Whether you’re in search of a lightweight inline-four (I4) engine or a brawny V8, we can help you find the exact used Lexus engine you need at a competitive price. The Lexus ES330 was the upgraded redesigned version of the ES 300. Both vehicle was based on the Toyota K platform that was widely used in the Camry…. Toyota’s Lexus marque was founded at approximately the same time that its competitors, fellow Japanese automakers Honda and Nissan founded their own luxury divisions, Acura and Infiniti. However, Lexus is known the be the most reliable of the three. Lexus cars are far more than reliable, though — they’re also known for their exceedingly comfortable interiors, luxe styling and cutting-edge safety features. Lexus engines specifically are praised for their high performance and thorough testing. Q: How much does a used Lexus engine usually cost? A: In general, used Lexus engines cost between $300 and $4,500. However, this price will vary depending on the year and model of the engine you select. Q: Will my used Lexus engine come with a warranty? A: ASAP Motors doesn’t directly sell engines — instead, we put you in contact with an array of trusted auto parts brokers who have the engine you’re looking for. As a result, we can’t say if your chosen used Lexus engine will have a warranty or not. If a warranty is important to you, be sure to talk to your chosen engine’s seller and fill out any necessary paperwork before completing your purchase. Q: Who makes the engines for Lexus? 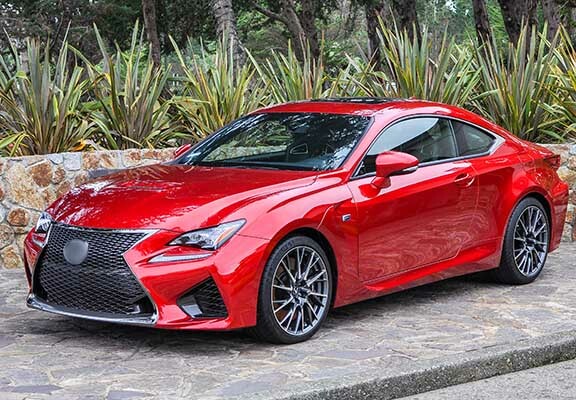 A: As mentioned above, Lexus is a division of Toyota and thus primarily uses either the same engines as Toyota or engines based off of Toyota engine designs. However, many Lexus engines have been further developed to increase performance, especially in its sports cars. The Lexus LS 430 is a luxury full-size sedan that belongs to the brand’s LS range. Featuring powerful engines, superbly smooth handling, quiet cabin and luxe amenities, the LS 430, in particular, drew praise from critics and drivers alike. The LS 430’s V8 engine was made by Toyota but offered exclusively in the LS 430. First released in 2000, the Lexus GS 430 is a variant of Lexus’ GS line of executive cars. Compared to its predecessor, the GS 300, the GS 430 featured increased torque, improved computer-assisted handling and a high-tech suspension system. It was offered with a capable V8 engine. The Lexus RX 330 is a luxury crossover SUV that’s been sold since 2003 as part of the RX line of SUVs. In contrast to its predecessors, the RX 330 sported better handling, improved fuel economy and increased torque. It was offered with a powerful V6 engine.